Here’s some fun things to do for Thanksgiving – and if there are a lot of kids running around, these projects will keep them quiet so you can enjoy a glass of wine. Surely, someone from your greater family group is shopping as we speak, so I have highlighted below the things you will need to get to do these projects. You need to add Parker House rolls to the menu. 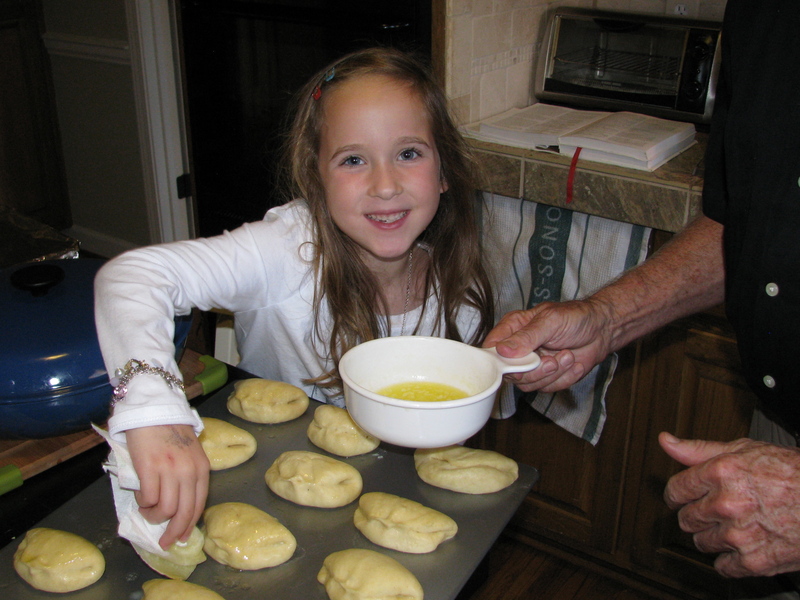 Get the younger people involved around noon on Thanksgiving and you’ll have a great addition to your family tradition. I’m sure you remember that the recipe is on Bravado Cooking (Parker House Rolls – An American Classic). You probably have everything you need except some yeast. 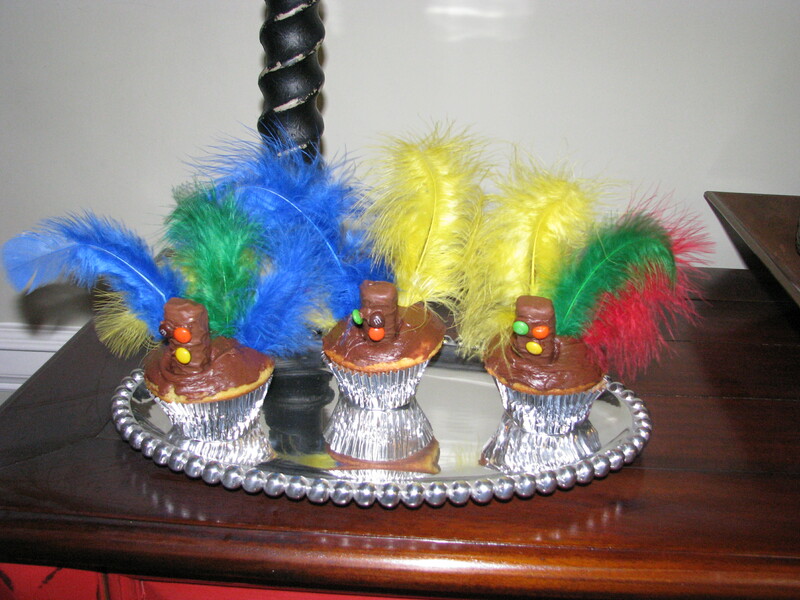 The Turkey cupcakes below are easy to make. Go to our recipe (The Cupcake – Definitely an American Classic) and use cocoa powder in the frosting. You may also need some powdered sugar. 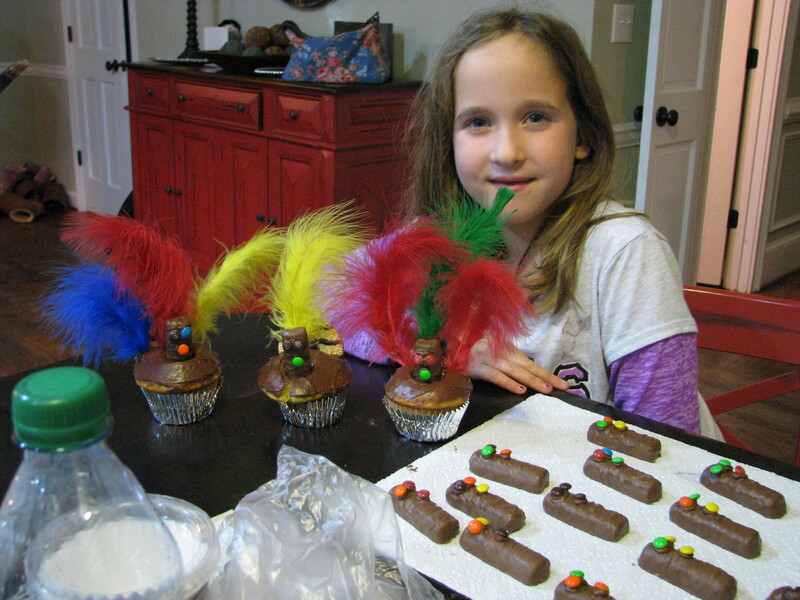 To finish things off, you will need some miniature M&M’s, Twix bars, Keebler Fudge Stripe cookies, and a few feathers. 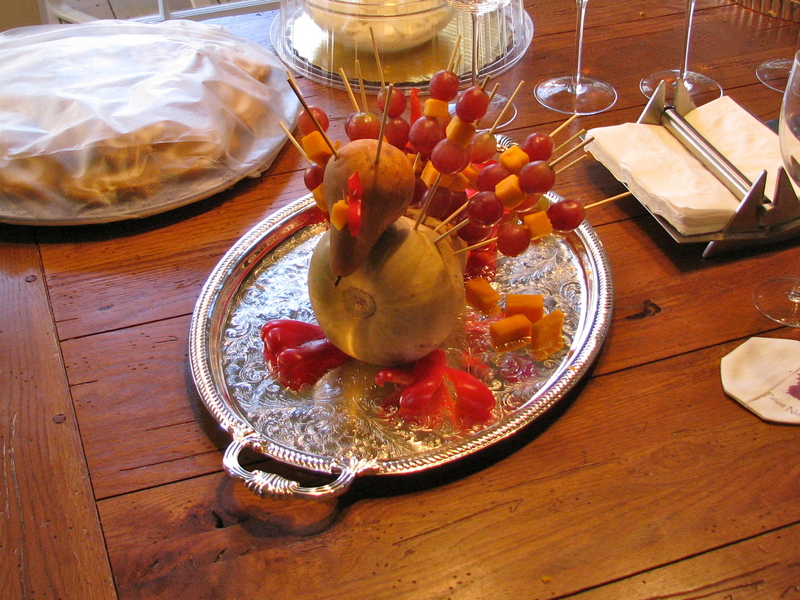 This centerpiece is easy to make. 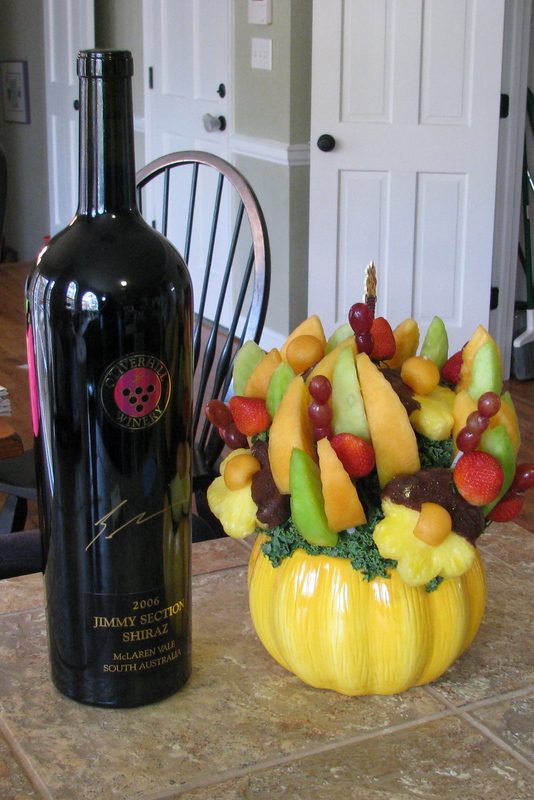 Pick up a large butternut squash, a Bosch pear, a package of grapes, a one-pound chuck of cheddar cheese, some wooden skewers and a red pepper. Look closely and you can figure out what to do. Love this post and the pictures. 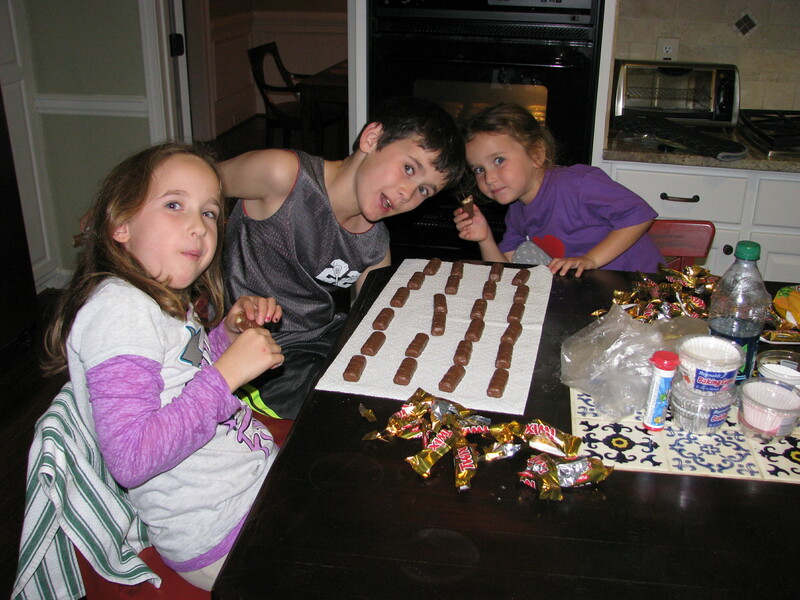 Betty K.
What great fun for the grandchildren! You always are the most fun grandparents! 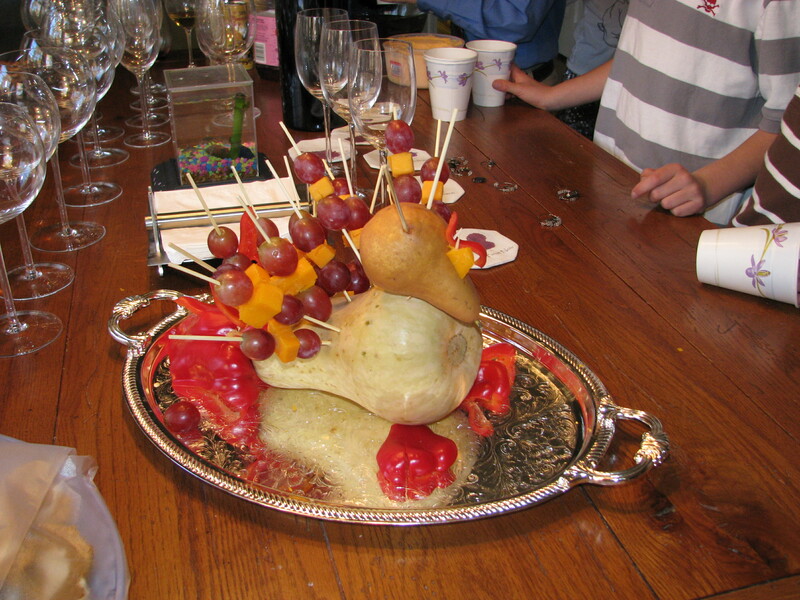 The kids had a BLAST making the squash turkey centerpiece!!! Thank you!